Two types of dolphins are found in the waters around Gansbaai. Most people are aware of dolphins because they are “cute” and were popularised in children’s stories. There are many dolphinariums around the world where people can swim with dolphins. At Gansbaai, there is a resident pod of humpback dolphin (Sousa chinensis) at Dyer Island. The Indo-Pacific bottlenose dolphin (Tursiops aduncus) is common all along the east coast of Africa and distributed up to Australia. Both species prefer shallow water of less than 30 meters deep and often interact with people. They are therefore vulnerable to human activities like pollution of all sorts, sharing their food source and they are often caught in fishing nets. Dolphins are protected in South Africa. 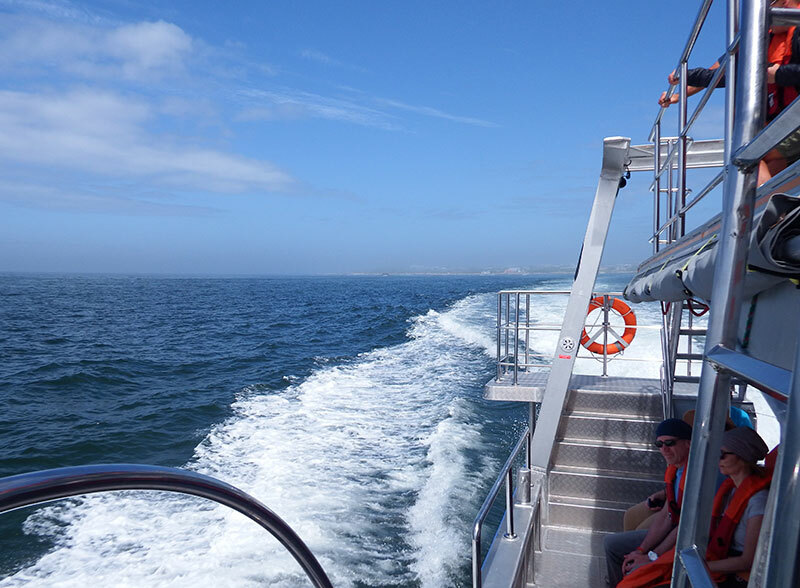 Join one of the whale watching cruises to see them in the waters around Gansbaai. "Dit was ‘n absolute fees om in hierdie huis te kan bly! Ons kom verseker gou weer terug."